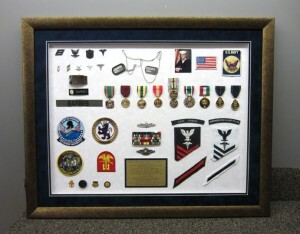 Since 1987 our company goal has always been to provide custom framing solutions that are as creative and unique as the treasures entrusted to us for framing. Each picture, painting, family heirloom or keepsake project is met with genuine enthusiasm and handled with the utmost care. Our customer’s often walk through our doors with a box full of memories, envelopes with torn ticket stubs, photographs, their child’s jersey… Here’s a sampling of how we transform those memories to masterpieces and how our clients feel about our work…. I have been a customer of B&C Art & Framing for better than a dozen years. Bruce and Clarice have framed over 150 items for my collection. As time has evolved, I now give them full charge of the choice of frame, mat and presentation. I have never been disappointed with the end product. My collection consists of Indianapolis 500 memorabilia and many one-of-a-kind artifacts. I never worry about leaving anything with Bruce and Clarice. Each and every time I pick up a newly finished piece, the WOW factor hits me. I've been a loyal B&C client for more than 15 years. Bruce and Clarice have framed dozens of pieces for me, including photos and art for my home and office, business awards and my artwork for gallery shows. They always take time to help me select the perfect mats and frames and work to understand the environment in which the piece will be displayed. It's hard to believe anyone's work could be consistently flawless, but Bruce and Clarice achieve that standard. People often ask me who does my framing. I tell them "B and C. The best commercial framer in Omaha." 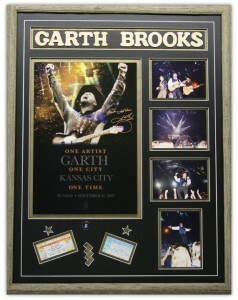 I've worked with Bruce on 4 different Beatles memorabilia framing jobs. Every time I've seen the finished project I couldn't believe how great they looked! People coming over to my house always comment on the pieces he has framed! Highly recommended!